Betty Southard Stokes wrote Leslie's Dream in 1980 for her daughters, Leslie Ann Stokes and Amy Elizabeth Stokes, to help them learn the true meaning of Christmas. This edition is lovingly illustrated by artist Emry Quinn. Betty Southard Stokes was born in Kentucky. She is a longtime educator with more than 36 years of experience in public and private schools as a teacher and administrator. 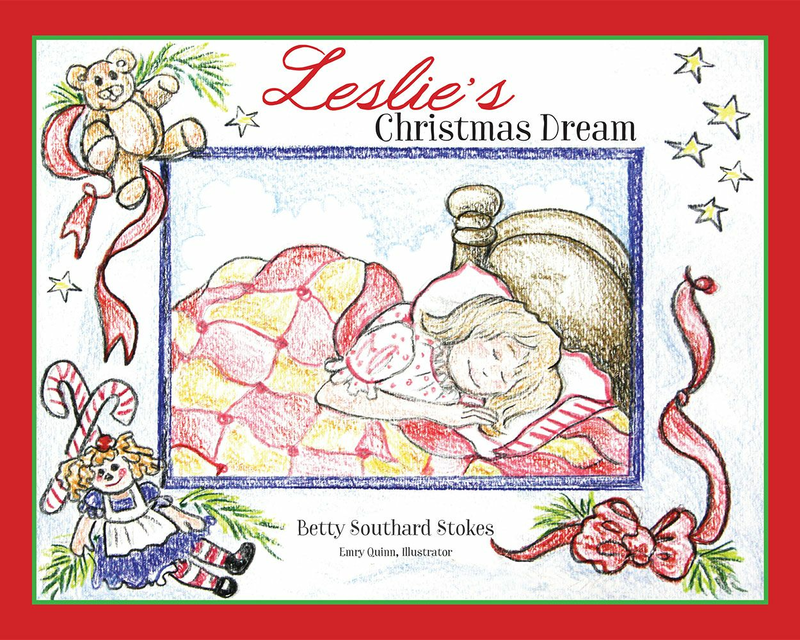 Betty's interest in Kentucky history inspired her work as an author of children's literature. Her current books are Postcards from William, 1803�1806: William Clark Writes from the Lewis & Clark Expedition; Postcards from George, 1763�1781: George Rogers Clark Writes from the Kentucky Wilderness; Postcards from Daniel, 1755�1784: Daniel Boone Writes from the Kentucky Wilderness; and Postcards from Abe, 1842�1865: Abraham Lincoln writes to Lucy Speed at Farmington Plantation in Louisville, Kentucky. Betty's efforts have been recognized by the Council of Social Studies Teachers in 1985, KET's Education Notebook in 1987, Kentucky Environmental Education Association in 1988, National Education Association in 1989, KET's Inside Kentucky in 2002, and Leadership Louisville and the Kentucky Historical Society in 2010. Betty was honored as a Kentucky Colonel in 2014. See her blog at http://the-one-room-schoolhouse.blogspot.com.